"Alcohol" is quite an old song, and one that shines in its simplicity. This is probably why Beck kept returning to it over a period of years. As mentioned, the simplicity of this tune is great, and the lyrics match that. It is not cluttered with rhymes, or overloaded with too many images or words (as can sometimes be Beck's tendency). It might be tempting to dismiss the song, as it really only has four lines. It nonetheless has meaning. For instance, "leaving me dry" is a twisted phrase; drinking alcohol would not literally leave one "dry," but when it refers to the soul, it gives the song some depth. The song's earliest known existence was as a recording for Beck's independent 1993 album, Golden Feelings. He left this version off of the record however. This "leftover" version, while much rawer and less produced, is still quite similar to later versions. In fact, the song's simple arrangement has always stayed basically the same. The only noteworthy difference is in the second verse where Beck sings "If I lay in the same place," instead of the more familiar "If I stay in the same place." After that, the song was recorded later for Bongload Records (who put out Mellow Gold). During the sessions, one of the songs Beck did with Tom and Rob of Bonglaod was a re-recording of "Alcohol." Together, they turned the song into a beautifully orchestrated guitar song, including an impressive acoustic solo, which Beck only hinted at on the earlier "Leftovers" version. The song is clearly reminscent of later songs like "Blackhole" and "Ramshackle" in style and tone. This recording ended up as a B-side for "Loser." Amusingly, the back of the CD notes that this recording is from 1988! Clearly incorrect, but at the same time, perhaps an accurate comment on the song's age (literally or figuratively, I don't know, either way). 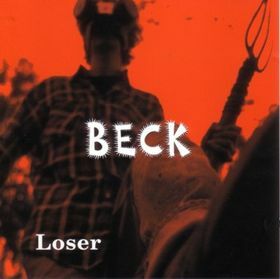 The "Loser" b-side version morphs into a strange electronic whine over pounding drums. It could not be more different from the beautiful acoustic guitar of "Alcohol," but it works as an ending. "Alcohol" popped up in solo acoustic sets throughout 1994. One noteworthy one was on June 29, 1994 in Minneapolis. That night, Tony Glover & Dave Ray (of the legendary '60s folk trio Koerner, Ray & Glover) opened for Beck. For a few songs, they joined Beck on stage during the solo portion of his set. Beck took it easy and laid back a bit, while he let Glover blow some harp during te verses. Beck is a huge fan of Koerner, Glover & Ray-he calls them the "punk rockers of the '60s folk scene"-and this night was surely one of the early highlights of his career (though "Spider" John Koerner was not there). Incidentally, Koerner, Ray & Glover have a song called "Don't Tell Your Right Hand What Your Left Can Do" (which, of course Beck uses later as a line in "Peaches & Cream"). There are occasional folk versions in 1996 and 1997 too. Sometimes Beck played folk medleys of his songs. On November 5 1994, "Alcohol" was part of a fairly long medley of snippets of some of Beck's acoustic songs (including "Puttin It Down," "Feather in Your Cap," "Cyanide Breathmint"), none of which is often performed live. At a later show, he referred to this medley as "Modulator." There is another medley a few years later in September, 1996 that was very similar and also had "Alcohol." I do not believe that this song has ever been played with a band. The setlist we have for May 22, 1997 slots "Alcohol" between "Mutherfuker" and "High 5"... so maybe? But either way, the song has not shown up since August 1997 and seems long left behind.